The team has already gathered and put together nearly 6,000 images, acquired over the course of a year and covering 70% of the Milky Way. The result is a result is a 4.37-gigapixel panoramic view of our host galaxy. To get the full picture, the team will travel to Namibia for more observations before the end of 2018. To capture the images, the team used two Sony A75 DSLR full-frame cameras on an equatorial mount to compensate for Earth’s rotation. Both were equipped with fast telephoto lenses: a Canon 200 mm f/1.8 was used to build the panorama, while a 400 mm f/2.8 allowed high-resolution observations of 50 objects the photographers selected for what they call the galactic fauna catalog. Miquel Serra-Ricart (Astrophysical Institute of the Canaries) coordinated the project and also manages the Teide Observatory in Tenerife, where the cameras were installed. He says he was surprised by the sheer amount and density of objects in our galaxy. “You can imagine that this is something we already knew, but still, as we navigate the image we keep finding small objects we didn’t see at first glance,” Serra-Ricart adds. Navigating the image, available on the project’s website, is truly a mesmerizing experience. However, if you want to go straight to the highlights, the team has also selected and annotated some of the most interesting objects on their Flickr site. One of those highlights, a dusty view of the Pleiades and the comet Panstarr, was recently featured as NASA’s Astronomic Picture of the Day. Other great views include Orion’s Belt, the Witch Head Nebula, The Triangle Galaxy, or the Spaghetti Nebula, to name a few. If you think this is a neat idea, you might also want to check out similar projects conducted by professional and amateur astronomers alike. German astronomers used a 15-cm telescope in Chile to produce the largest-ever image of the Milky Way. They made a humongous 46-gigapixel image, which is also available and annotated online. It looks less colorful because they used a filter to reduce color variation and highlight changes in brightness over time, as their main goal was to find variable stars. NASA also produced a 20-gigapixel mosaic from infrared images captured by the Spitzer Space Telescope, and the European Southern Observatory released a 800-megapixel panoramic view of our galaxy back in 2009, although only a smaller version is still available online. 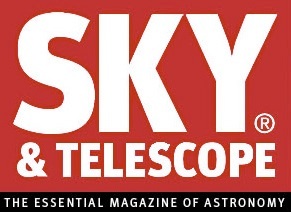 Others have tried more ambitious goals, such as astrophotographer Nick Risinger, who shot the entire sky (Sky & Telescope’s February 2012 issue, page 70.). It’s also worth noting that Sky and Telescope’s editors, Sean Walker and Dennis Di Cicco, are currently working on a survey to capture the entire night sky in hydrogen-alpha emission, thus revealing the glowing clouds of hydrogen gas that make the building blocks of our galaxy.